January 16, 2016. The Wedding images of Lisa and Buddy taken at a Private Residence in Palm City, Florida. 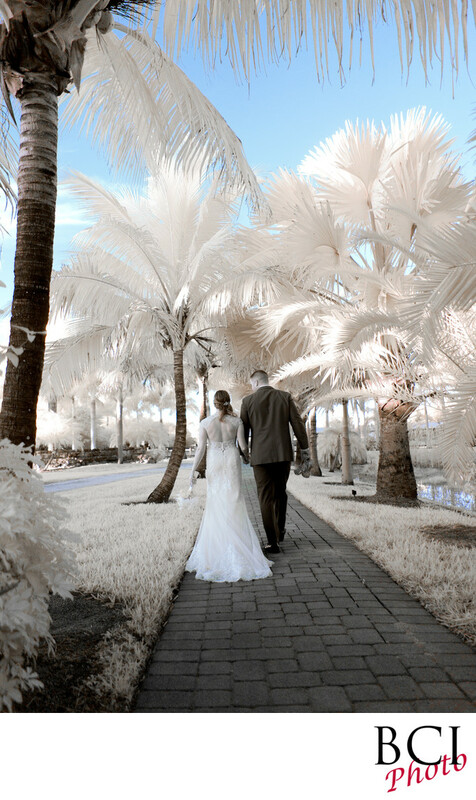 All rights reserved, Shown here is an infrared image utilizing the channel swap method of post production thereby rendering the natural sky blue color to remain while desaturating the mid tones rendering an incredible, dreamy romantic wedding aesthetic.